Britons spend more on paid-for TV than friends or family | What Hi-Fi? 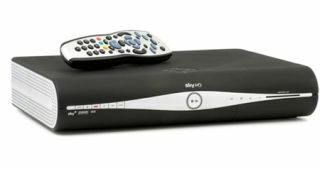 As a nation we spend more on paid-for TV services such as Sky and Virgin than we do on friends and family, according to the latest research from Standard Life. Britons spend an average of £39 per month for TV viewing, adding up to £468 a year. Men aged 45-54 spend the most of any age group, spending on average £43 per month or £516 a year. To put that into perspective, those of us paying TV subscriptions admit we spend more on that each month than we do on our parents (£11), partners (£37) and friends (£10). Almost half of us (47%) pay a subscription for our TV services, rising to almost three in five men (59%) aged 35-44. One in eight of us (13%) have paid for TV services for more than 15 years. And 40% believe they will continue paying for subscription TV for more than 20 years.